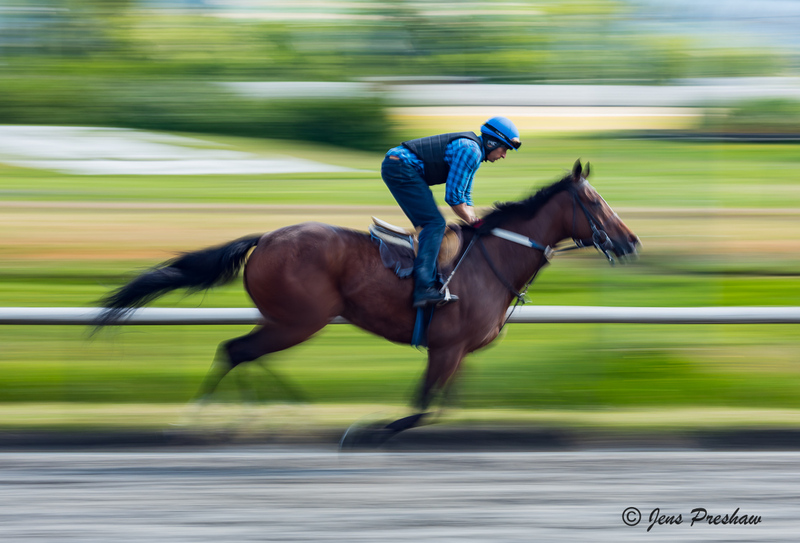 At the Hastings Park Race Track the horses are exercised early in the morning. I spent some time using a slow shutter speed, panning the camera with the action and snapping the shutter. I like this photo because the jockey is stationary and for the most part in focus. The background and legs of the galloping horse are blurred which conveys a sense of motion and speed. I also like the flying tail of this beautiful animal.